A UPEI student was recently recognized for her work in making life easier for people with Crohn’s or colitis. 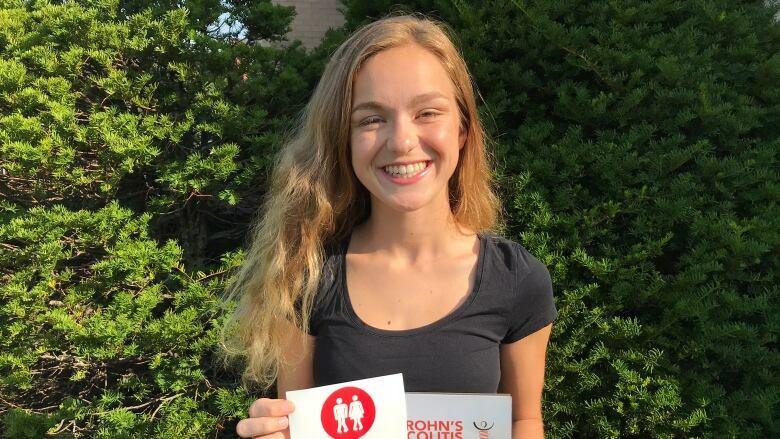 Emma Moore won one of 10 scholarships for people living with an inflammatory bowel disease from pharmaceutical company AbbVie. Moore is entering her final year of university and is the first UPEI student ever to receive the scholarship, worth $5,000. She was selected from 370 applicants. “It’s just an honour because all the other recipients are really well-rounded. They’re doing a ton of work for the Crohn’s and colitis community, so it was very much an honour to be considered on the same spectrum as them,” Moore said. Started GoHere program in P.E.I. 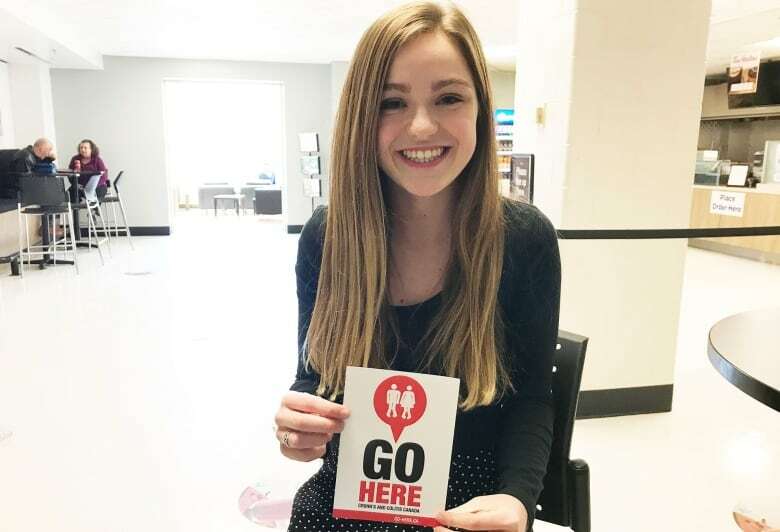 Moore brought the Crohn’s and Colitis GoHere washroom access program to P.E.I., signing up businesses with open and accessible bathrooms that people with Crohn’s can use. People with these conditions feel the urge to use the bathroom from five to 20 times a day, so knowing where bathrooms are available is important, Moore said. “That can be anywhere throughout your day. You kinda don’t know when to expect it. To know there’s bathrooms on the route to work or to a social event, it can just ease any anxiety about it and make going about your daily life that much easier,” Moore said. Moore now has 13 local businesses signed up, the most recent one being Sobeys. Their locations are on the GoHere app and they have a decal in their window showing their washrooms are available. “The response was really good. They said this was a movement they felt would really help them. They felt uncomfortable in the past going into businesses,” Moore said of the feedback. Moore was diagnosed with Crohn’s during her first year at UPEI. She fought through it to be named rookie of the year for UPEI’s cross-country running team. She volunteers with Sports Centre Physiotherapy, Big Brothers Big Sisters, and the Queen Elizabeth Hospital. Previous articleMore Texans say no to vaccines despite health concerns. Are your schools ‘hot spots’ for opting out?